It's been less than a year since the Bay Area-based ENTHEOS burst onto the scene with an impressive lineup and the news of a forthcoming, debut EP. 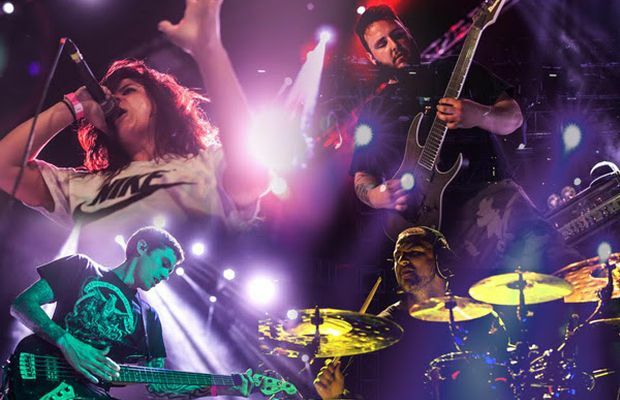 That lineup consists of some of the most talented musicians in the technical and progressive death metal scene: vocalist Chaney Crabb, guitarist Frank Costa (ex-Animosity), bassist Evan Brewer (ex-Animosity, ex-The Faceless) and drummer Navene Koperweis (ex-Animosity, ex-Animals As Leaders). The collective caliber in experience and creative prowess is imposing to say the least. You can stream ENTHEOS' debut EP, titled Primal, below. If you enjoy tech-death with plenty of groove and the occasional electronic elements, it should be right up your alley.